Greetings to our Kindergarten families! We had a great week filled with so many new adventures! We just finished our I-pad Gingerbread story! We ventured out to take pictures of our gingerbread man all around the school! Then, we made it into a story! It was so fun to see the end result! This week we also read 6 different versions of The Gingerbread Man. We compared them and found that they had various characters, settings, verse and solutions. We created a HUGE chart showing our results and we are proud of it. It is on display in the hallway. Soon we will be on winter break. I will certainly miss seeing the children everyday. 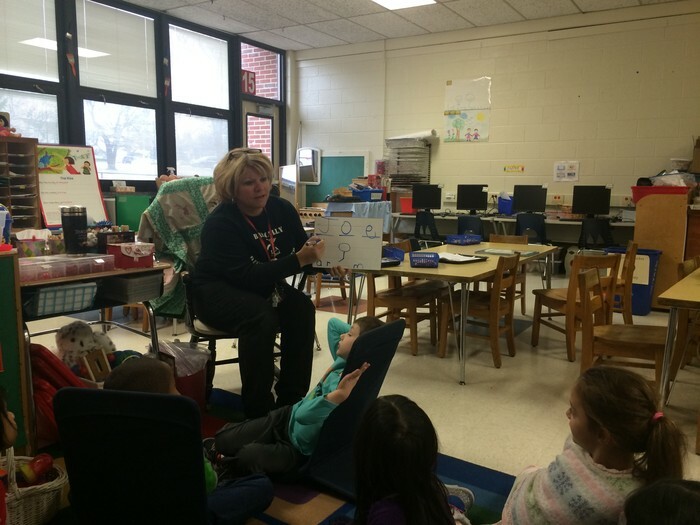 I encourage everyone to read each day and take advantage of our websites to practice reading and math. Monday we will create gingerbread houses and Tuesday we will enjoy hot cocoa together. All big bags will come home next week. Have a wonderful break and thank you for your ongoing support! 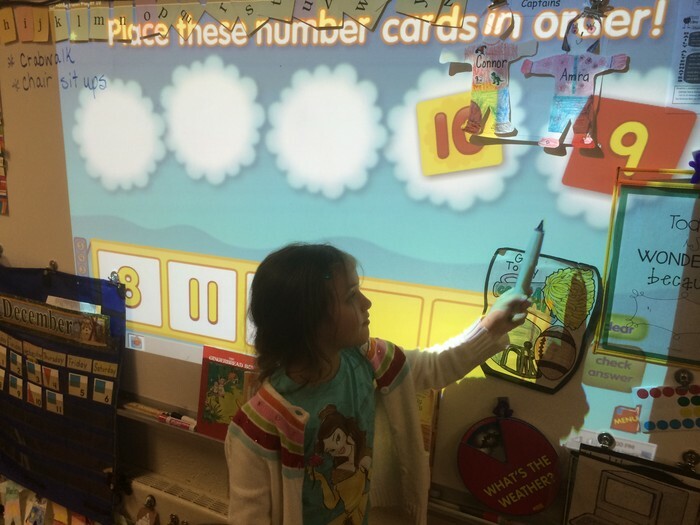 During Math Fun, we interacted on the Smartboard. In this particular picture we are using software which was purchased through an LTEF grant. 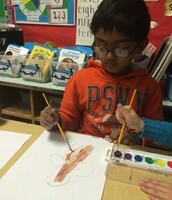 We hand painted Gingerbread Men using water colors. Then we labeled the parts. 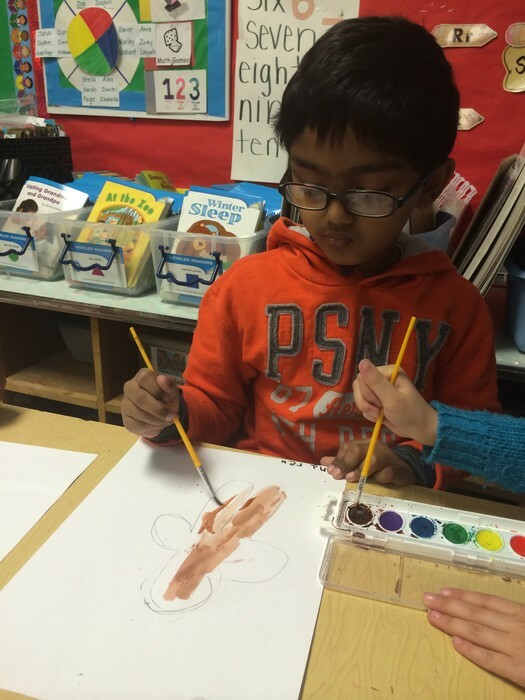 We had a very fun week of Gingerbread Man as our theme. Ask your child to tell you about the Name Game. This is a time during morning meeting when we pick our daily captains. We spend time working on letters and sounds during this time. This week we talked about vowels!